Justin Drew Bieber (born March 1, 1994) is a Canadian singer and songwriter. After a talent manager discovered him through his YouTube videos covering songs in 2008 and signed to RBMG, Bieber released his debut EP, My World, in late 2009. It was certified Platinum in the U.S. He became the first artist to have seven songs from a debut record chart on the Billboard Hot 100. 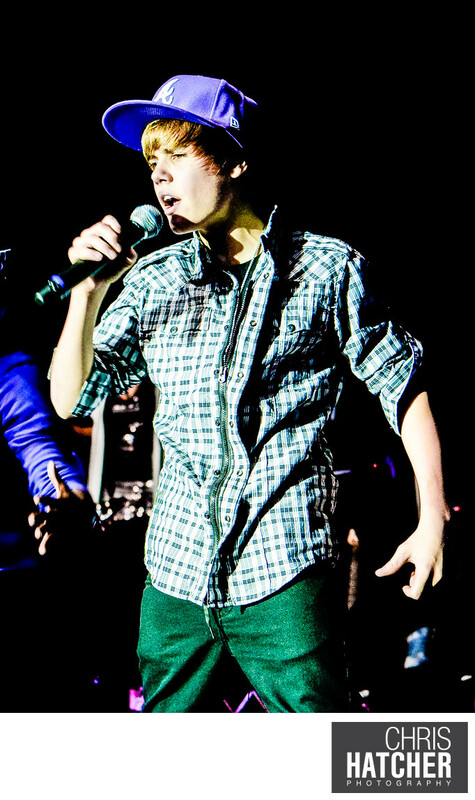 Bieber released his first full-length studio album, My World 2.0, in 2010. It debuted at or near number one in several countries, was certified triple Platinum in the U.S., and contained his single "Baby". Following his debut album, he had his first headlining tour, the My World Tour, released the remix albums My Worlds Acoustic and Never Say Never – The Remixes—and the 3D biopic-concert film Justin Bieber: Never Say Never. He released his second studio album, Under the Mistletoe, in November 2011, when it debuted at number one on the Billboard 200. Bieber released his third studio album, Believe, in 2012. Its single "Boyfriend" reached number one in Canada. His fourth studio album Purpose was released in November 2015, spawning three number one singles: "What Do You Mean? ", "Sorry", and "Love Yourself". Following the release of Purpose, Bieber was featured on several successful collaborations, including "Cold Water", "Let Me Love You", "Despacito (Remix)", and "I'm the One". His U.S. album and singles sales total 44.7 million. He has sold an estimated 140 million records, making him one of the world’s best-selling music artists. He also became the second person to reach 100 million followers on Twitter in late August 2017 (Katy Perry was the first). Bieber has won numerous awards, including the American Music Award for Artist of the Year in 2010 and 2012. In his career, he has won one Grammy Award for Best Dance Recording for the song "Where Are Ü Now" at the 2016 ceremony and one Latin Grammy Award for Best Urban Fusion/Performance for the remix of Despacito at the 2017 ceremony. He has been listed four times by Forbes magazine among the top ten most powerful celebrities in the world in 2011, 2012, and 2013. Bieber also became the first artist to surpass 10 billion total video views on Vevo. Location: Palladium in Hollywood 6215 Sunset Blvd, Los Angeles, CA 90028. Keywords: baseball cap (21), bieb (21), checkered shirt (21), concert (21), jeans (21), music (21), purple hat (21).